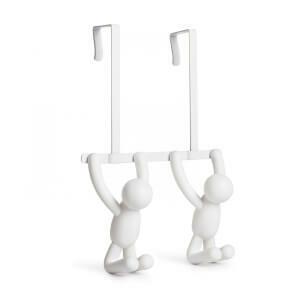 Get a helping hand from Umbra’s favourite little character Buddy with the Squeegee in White. Perfect for cleaning bathroom mirrors and glass surfaces without streaks, the cute cleaner will put a smile on your face even when you are doing the chores. Made from molded plastic, the squeegee is also suitable for windows and mirrors and has a useful suction hook for hanging after use.